What does passing a stopped school bus with its lights flashing have to do with the Ontario government selling pot? What does passing a stopped school bus while its lights are flashing have in common with the Ontario government selling pot? The two seemingly unrelated issues are packed into one piece of legislation from Premier Kathleen Wynne's Liberal government. Ontario's cannabis legislation, Bill 174, would regulate everything about the sale of recreational marijuana in the province once legalization takes effect across Canada next July. The bill would set the minimum age to buy pot at 19, would create a new Crown corporation so the government can sell weed from shops and online, and it would dictate where pot can be consumed. The same bill would also lay the groundwork to put cameras on school buses to allow automated ticketing of drivers who blow past school buses when stopped to pick up or drop off passengers. The opposition Progressive Conservatives, who proposed a similar school bus safety law in the legislature eight months ago, say the Liberals are playing games by jamming it into the more controversial marijuana bill. 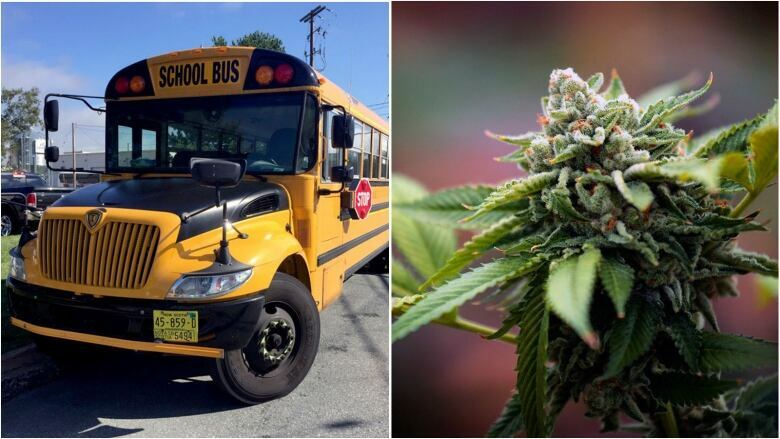 "What in the world does school bus safety or camera safety legislation have to do with the Cannabis Act? Nothing," said PC transportation critic Michael Harris. The Liberals put the two pieces of legislation together hoping the PCs will vote no over concerns about the marijuana sales regime, Harris said. That would give the Liberals a chance to portray the PCs as being opposed to safer roads. "That's their motive here," Harris said in a news conference at Queen's Park on Wednesday, "They'll go out to every parent teacher organization and mom-and-dad group and say, 'Look, the Conservatives just voted against school bus safety.'" The Liberals deny they're playing games by putting school bus safety legislation into the marijuana bill. "Absolutely not. That thought did not even cross our minds," said Attorney General Yasir Naqvi on Wednesday. "This is just conspiracy thinking in their own mind. There was no intention whatsoever on our part to play any political games with this." Naqvi said the government put the school bus camera law into the pot bill to get it passed quickly. "We're finding an efficient way of making a good idea move forward," Naqvi told reporters at the legislature. "I just find it very odd that [the PCs] are feeling so defensive about this. I think they should celebrate their success. They raised a very important issue around making sure that our children are safe." 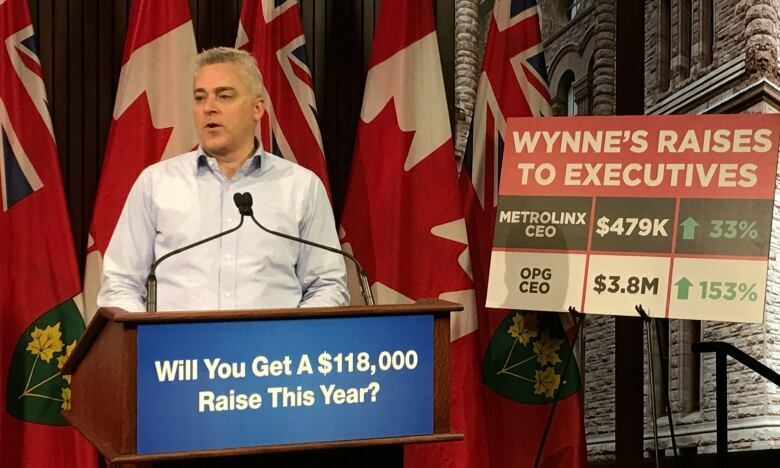 Progressive Conservative MPP Rick Nicholls first introduced such a bill in 2014. He revived it this past February, but as recently as May the Liberal government expressed reservations. "It just shows the cynicism of Kathleen Wynne and the Liberals," said NDP leader Andrea Horwath on Wednesday. "I find it very cynical that the Liberals continue to use omnibus legislation to try to wedge the other political parties." The marijuana bill contains a section on road safety. 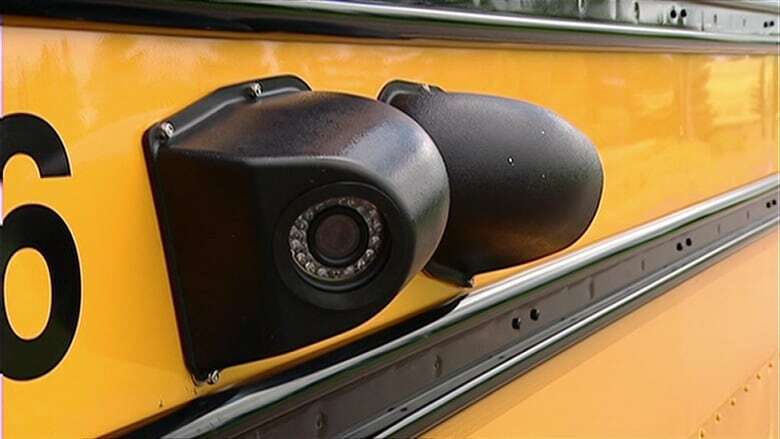 While it includes new legislation on detecting and punishing drug-impaired drivers, it also wraps in the school bus camera rules. "The travelling public wants to make sure these laws are passed so that they can have safety, and the means by which that occurs is less relevant to most people," Transportation Minister Steven Del Duca said Wednesday. Exterior cameras are mounted on some school buses in a range of provinces, including Alberta, Manitoba, Nova Scotia and P.E.I. In Ontario, police in Ottawa and Thunder Bay have put cameras on school buses to try to catch drivers breaking the rules, while police and school officials in Waterloo region endorsed the idea. A month-long experiment with cameras in Toronto in 2014 caught hundreds of drivers illegally zipping past the stopped buses.